An activity teachers regularly do is Google Search. They may do such a search for themselves or to support students in their research endeavers. Doing a Google Search seems very simple, you do it all the time. You put a term in the search bar and let the Goog do its magic. But what if you wanted to filter those thousands of searches Google came up with. That is what these series of posts will address. 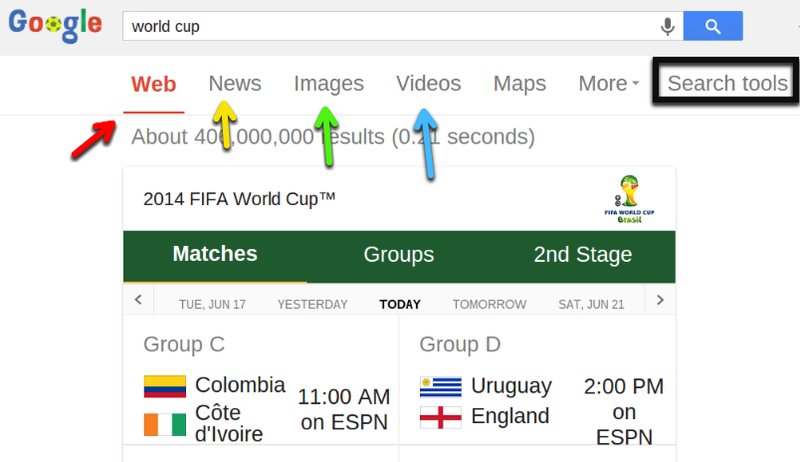 If we did a general search for world cup, this is typically the page we would see. We conveniently see some search types such as Web, News, Images, and Videos. In follow up posts, we will go through each of these types. This, of course, will only give us general results for each type. The magic happens when we filter using the search tools function. Selecting search tools gives you different filtering options depending on which type of search you are in. In the following video I introduce you to the dififferent types of searches as well as the Search Tool itself. In follow up videos I will focus on using the search tool with each type of search.